THOUSANDS OF RESCUES MADE. COUNTLESS LIVES TOUCHED. It’s well documented, SPOT saves lives and is invaluable to have when your adventures lead you beyond cellular coverage. With spring and summer adventures and trips around the corner — backcountry hiking, canoeing, climbing, and mountain biking — ensure you’re covered in an emergency or just to check in with your friends and family. SPOT. Not Just For Emergencies. Spring is in the air and Canadians coast to coast to coast are starting to think about their outdoor plans for this coming adventure season. As they prepare to hit the trails or get on the water, SPOT is being considered as a crucial part of anyone’s safety gear to ensure a lifeline to emergency services should disaster strike. Or to know the whereabouts of valued outdoor toys like boats, ATVs, and motorbikes and to be notified if they are on the move. Save up to $95 on SPOT Gen3™ plus 50% off your 1st year of Basic SPOT Service and Extreme addons. Please note that this promo does not apply to SPOT X 2-Way Satellite Messenger. *NOTE: Service plan is required. In our continued effort to ensure the best possible SPOT X user experience, we have made some updates to the device firmware V1.7.14 and the device updater 1.12.8 to improve usability and overall intuitiveness. To update the SPOT X firmware, customers need to first download the latest SPOT X device updater. Next, connect and update the SPOT X firmware to start benefiting from these upgrades. Text message bubbles have been added for readability, just like your Smartphone. A pop-up message will appear if the GPS fails to get a fix to send a message. Immediate typing in text fields upon selection. Improved message delivery from the device and message delivered acknowledgment. Screen resolution consistency at all levels of device battery strength. Message queue irregularities have been corrected. To view the full set of release notes and to download the new SPOT X Firmware updater click here. Anyone who travels by land, sea, and air! Since its launch, SPOT’s satellite technology has provided peace of mind by helping initiate more than 5,000 rescues and counting while also providing GPS tracking service. Over the years, recreational outdoor enthusiasts, athletes, government agency employees, National Geographic explorers and photographers, and researchers are just some of the people that have benefited from using SPOT. In emergency situations, users can press the S.O.S. button to send an emergency notification and on SPOT X, you will have the ability to communicate directly with GEOS, International Emergency Response Coordination Center (IERCC). 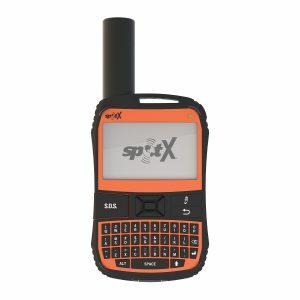 For less serious situations, reach out to family and friends for assistance using SPOT Help/Assist on SPOT X, SPOT Gen3, and SPOT Satellite GPS Messenger. Send custom emails or SMS messages on SPOT Gen3 and SPOT Satellite GPS Messenger. With SPOT X, you have the ability to send 2-way messages to any cell phone or other SMS device. 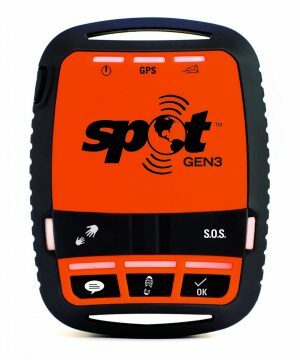 You can also post to Facebook and Twitter on SPOT X, SPOT Gen3 and SPOT Satellite GPS Messenger! Join our community and be of the first to learn about product updates, contests, and event news.